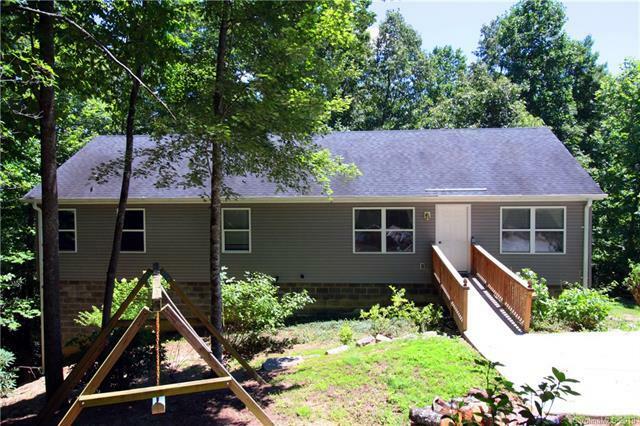 490 Emerald Hills Drive, Pisgah Forest, NC 28768 (#3411525) :: Robert Greene Real Estate, Inc. Peaceful private 4 bedroom 3 bath home with beautiful Winter Views perched above the Little River Valley. This home has all the amenities on the main level. Open floor plan is perfect for entertaining with walk out back deck. Large Master bedroom has private walk out porch, large master bath with soaking tub, walk in shower his and her sinks and large master closet. Basement studio with kitchenette is perfect for mother in-law suite, Media Room or Wo-Man/ Man-Cave! Two car garage with large unfinished shop is ideal for additional storage, crafts or work shop. All this on .75 acres with end of the road privacy.